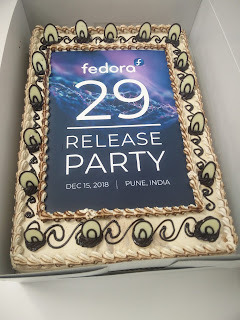 We had a great Fedora 29 release party at Pune, India on 15th December. Parag presented on RPM packaging. Followed by Q&A and nice Cake cutting. After six months of hard work from many Fedora contributors, its really feel proud to talk about Fedora 29 features. Also specifically mentioning consistency of Fedora over the last 15 years. 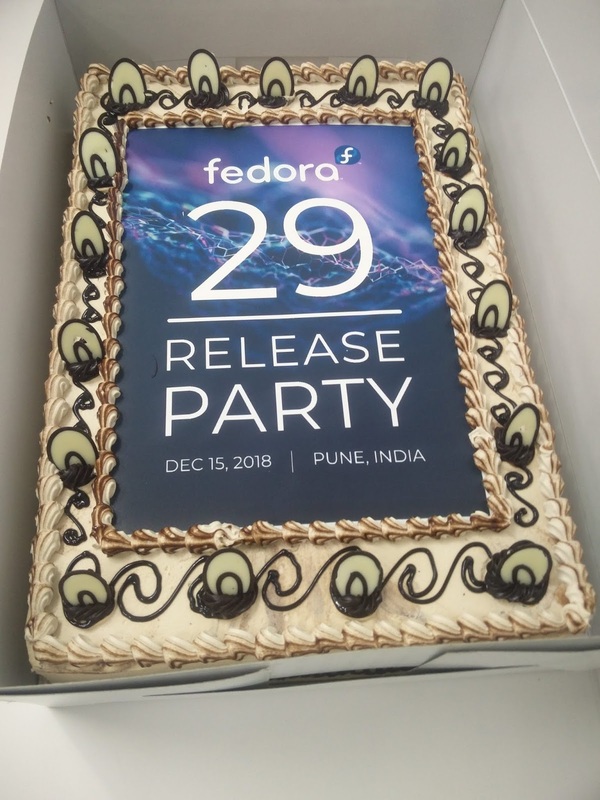 In 15 years we reached from Fedora core 1 to Fedora 29. Parag's talk was very nice, it cleared so many basic things on packaging side including rpm, yum, dnf and spec file. In Q&A we discussed having this session like workshop and actually doing rpm packaging of particular package will be more helpful. From the learning side, We thought we should keep on choosing different venue's for Fedora events. Its always easy to do it in Red Hat office but having it at different location helps to get new audience as well. Also the planning must be start 1 month before the event. Nice experience and Thanks to organizing members Parag Nemade, Suprith Gangawar, Ompragash Vishwanathan, Pooja Yadav. 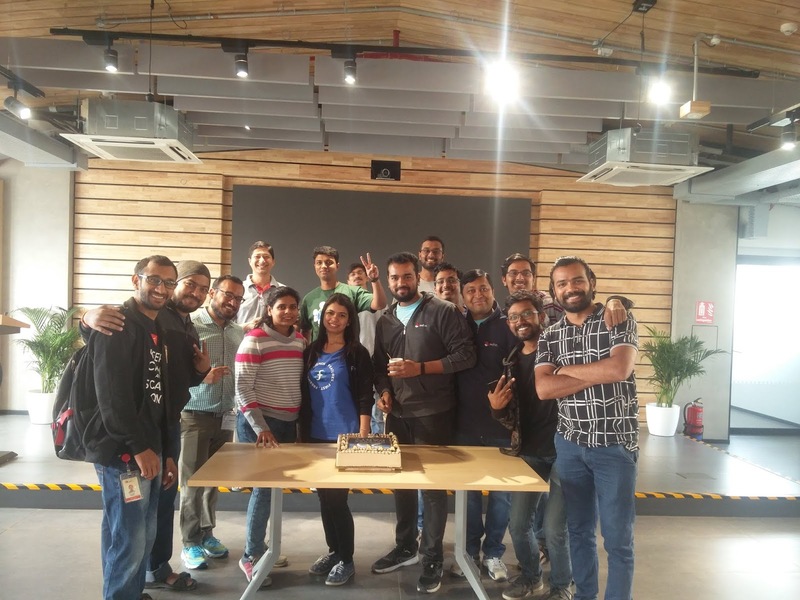 Thanks to Akshay Gaikwad for preparing image for Cake and all attendees for making it success. I am always very optimistic to get more things done from localization and internationalization side during flock Europe rather than flock US. Can you guess reason? Yes, due to more non-english speaking population. I am sure, many of attendees already experience, German language matters a lot in Germany. 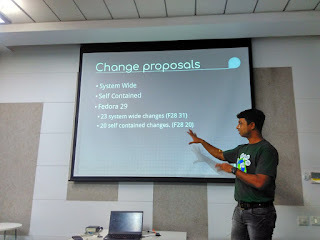 Sundeep and Parag delivered this talk on the 2nd day. From the vision defined in flock 2017, this flock its ready for consumption. Sundeep has already provided stats covering important packages for Fedora 29. I am sure, Sundeep will write more detailed blog around it. For members still dont know about Transtats. It is not a Translation platform, like Transifex, Zanata or Pootle. Rather its a best tool designed till date to analyse and track translation status of particular package during his lifecycle from Upstream (git etc), To Downstram (Fedora etc) and Translation Platform (Zanata etc) to what actually end user gets. During discussion with Igor and Jens, we came to know we can have langpacks for each package. Presently with few packages, we are installing translation for all language defaults. Though it is in KB's but still to be more modular, we need sub-packaing for it. It will introduce many sub-packages in each package. With some macro, we can do it. Also there are one non-trivial bugs from glibc locale subpackaing. i.e. at a time, it keeps both glibc-all-langpacks and glibc-langpack-en and other individual locales pack as well. We formed g11n group 3 years back to start more collaboration between, l10n, i18n, fltg and zanata but unfortunately its not going that well. Also we noticed, l10n does not have there own track and using g11n pagure instance only. Will create one for localization soon. This went very well, Devel team demonstrated new features from them. QE team presented automation activities happening on Fedora side. 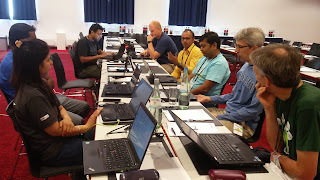 Discussion happened on upstream first testing and available test cases for existing packages. Both devel and qe team agreed for more collaboration on CI side. We also had discussion about Fedora modules translations as well. More details about hackfests in shared document. This was the second i18n FAD with earlier one in Nov 2015 (G11n FAD). With the earlier experience of organizing FAD, we spent a good amount of time in planning and making this successful. This time intentionally kept it only for i18n to make it more focused. Thanks to Fedora council for approving budget, it was not only budget approval but further help from Bex for booking air tickets as well. Participants for this FAD were from Poland, Germany, Tokyo, Beijing and India. This time good part was having more members with interest in QA (FLTG). This blog is specifically about my contribution into FAD activities. May be will have specific blog on communityblog to cover whole FAD achievements. Given quick session about fonts testing automation, present state and what can we do during this FAD. This was request on pagure g11n to check whether we can begin Filipino language translations. I worked on it with Rafal and also Mike helped to it. We already have nice documentation about language support. Only thing remaining was adding support in system-config-language. Reported on upstream with patch. What is use of comps langauge group? We introduced langpacks to get rid of comps group though we still cant pull IME's and Fonts with langpacks. Discussion with Parag, Jens, Tagoh and Me. Options we have is to have Weak dependencies, DNF groups. But again questions Jens raised do we need it in modularity. We postponed this to Modularity session discussions. Had good discussion with Tagoh and he suggested some alternative, one thing popped out during discussion is present Auto test module in Lohit is very minimal and we can extend it further. Jens suggested why package level testing? and not Fedora level all fonts testing? https://github.com/pravins/fonts-automated-testing and completed it for SourceHanSansCN-Regular.otf, will gradually add other fonts into it. This discussion started during Flock 2017 and Rafal shown interest in hosting it. Not got much time but came to conclusion good to have it aligned with either DevConf.cz or flock 2018. Will do further discussion on l10n mailing list. Gone through modularity packaging guideline, this was led by Jens and he put lots of time into it. Before FAD i was not sure, whether we will able to do it or not. We discussed and decided to do it during FAD lunch time, it was really good experience to celebrate Fedora release after long time. Points discussed were, to start Fedora meetup again, discussions on packaging, few members shows interest to become Ambassadors and conduct meetups. I was happy we able to do it, though not very well planned from my side. Though in 3 days we did not able to complete all planned activities but we planned activities for the next whole year. Looking forward from all to complete post-FAD activities. !! Flock 2017: How to make your application into a Flatpak? "How to make your application into a Flatpak?" was on the first day and delivered by Owen Taylor. Its around 1 and half year we are observing development of Flatpak's and i am sure this is going to be one of the breakthrough technology for distribution of packages in coming years. I attended this topic to get more idea about what is happening? and What plan in coming future? 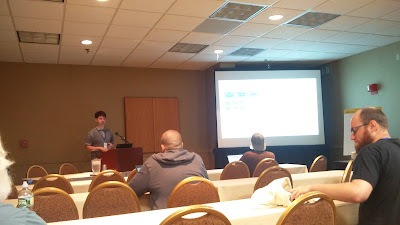 Session was very information and it was mostly from architectural overview of flatpak. I will update my blog with recording once it get available. Meanwhile in this blog i am going to cover only Q&A part from session. Question: If i install normal rpm and flatpak for same application, how system will differentiate between it? Answer: In command like, application id will be different for one from rpm and one from flatpak. Both will appear and one can choose. Question: Flatpak is bundle of libraries. Now if Platform like Fedora provide one flatpak for application and same time upstream also provide flatpak. Will one get replaced with other? Answer: We cant replace one with other. Question: I created flatpak on F25 and failed in Wayland, some permission missing. Answer: If it is build for X11, it should work on wayland as well. Question: Can we test flatpak on F26? Answer: flatpak.org are there, we can download and start testing. F26 is very much updated. Question: Are we releasing any application as a flatpak only in Fedora in future? Answer: Lets packager decide it, if its working well. At least we are not doing this forfor F27, F28. Fedora 29 packages may able to do it. Question: Whe we will have Firefox, Libreoffice as a flatpak? Answer: Low hanging fruits first and gradually we can think or ask people for it. First lets get infra ready. Question: Is any dependency on kernel? Answer: Generally very minimal dependency on kernel, more for graphics driver. No, strong dependency between kernel and runtime. Question: Can you consider flatpak with similar tech in android etc? Answer: Idea of using specific file system is purely flatpak and docker/containers. Flatpak has more secured communication model. I hope, i able to catch all the Q&A correctly, if anyone has to update anything about this feel free to send me email or just update in comment section. Photo credit to JFlory !! Trying to be on the spot !! 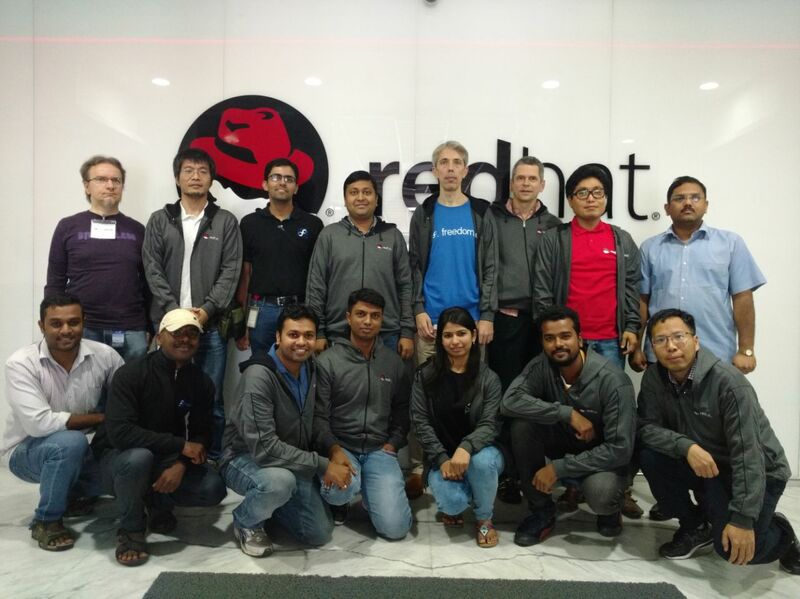 Got a chance to meet existing contributors, who are doing great work and i am communicating regular. I help them and they help me. Jean-Baptiste, Zoltan, Noriko, Alex, Patrick, Fale, Gabriele, Justin, Paul Frield, Matthew, Ryan, Jona this list is bit big, so if i missed your name please consider its here. May be i could had written Team names. Though G11N workshop was planned was on 3rd day but we were actually daily discussing open issues and how to get rid of it. It actually helped as a prep-work for workshop. 1st and 2nd day, i did not missed even single track and attended at least one talk from each track. My schedule is here, feel free to ping me, if you want more info. 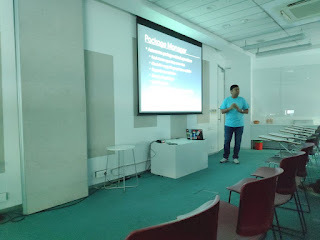 We had good number of talks on G11N this time. Please Note: Its not only APAC where there is need for languages other than English but its Europe as well. Only major issue APAC face is language with complex script. Europe most of the languages use Latin (extended), its make life bit easy for processing it on computer. 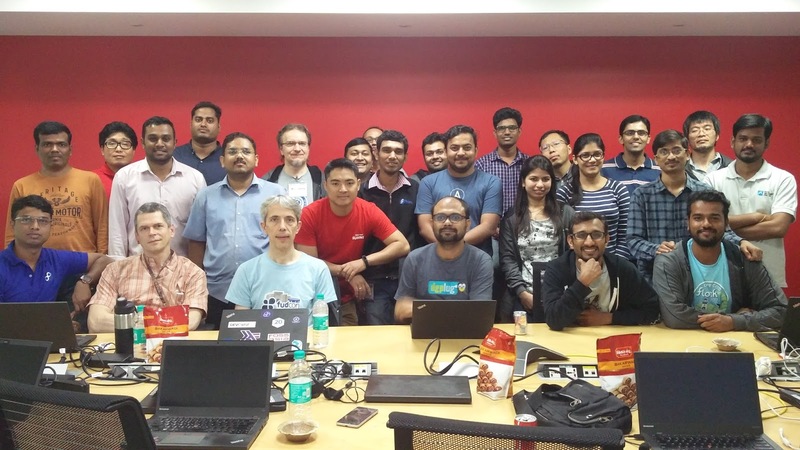 Talks and presence of more G11N members helped to make things more clear to other attendees and it actually help to get in new contributors. This is mostly from Translation side though but new contributors bring in new mind sets and help to improve processes. 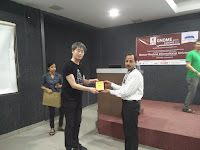 I presented on G11N audit of Fedora Atomic and happy it was well taken. Since presently more focus on modularity and containers, its right time to get involved and make sure adding language support will not become more bottleneck during implementation period. We need more testing.. At least in presentation i have mentioned more visible issues and even possible solutions as well. Going to work on then in coming Fedora releases. Presentation slides here. Globalization steering committee for language related issues though need many fixes to proposal itself. Mike Demonstrated IBUs Emoji typing feature and ibus typing booster multilingual stuff. these are key features in Fedora 25. Unicode 9.0 is already in Fedora 25. G11N FAD - More members are interested in hosting this :) Albania, Hungary and even Japan and India and i think some more locations. We have to coordinate with all and see how can we proceed for this. Jean-Baptiste presented on improvements points and issues he gathered with Zoltan. I really liked those and even thinking it as a TODO list for Localization in coming year. We were need more time for discussions 2 hours is indeed not enough with many active people with different expertise, L10N, I18N and Zanata. I will be very happy if each members can blog with there TODO for next year, it will help to gather me improvements plan. May be we can push on community blog. Summary is drafted in PiratePad. I also attended famsco and Budget workshop. In FamSco i think we are agreed to move ahead with fosco without replacing famsco and start with minimal groups. In budget, fyi.. Budget is happens for year "Mar-Feb" next cycle is Mar,2017-Feb 2018 and we are almost in planning phase for it. Any things which required specific budget please start listing it somewhere. Also we (with Jean-Baptiste and Zoltan) got interviewed for Radio stuff. It was really great to see, recorder was so involved in the interesting things we were speaking that he forgot to start recording and we again redone recording :) Exciting to hear recording soon. * Though you might feel this is big blog, actually i missed lots thing into it, expecting dedicated post for each one. 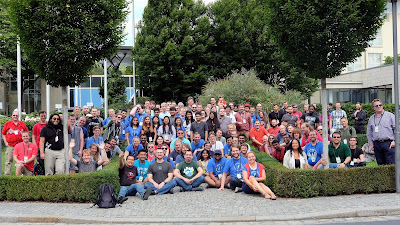 Nicely organized Flock, in 2014 we were running whole day from Hotel-Venue-lunch dinner. Here it was same place, so actually gave more time for talks with other peoples. Social events were nice. I loved it. In fact Location itself great. Nice to learn about Krakow history, its very reach. Kudos to organizing team !! Joe came as a saviour for me in last moment and booked ticket in last stage. I confirmed my travel on 29 July, it is enough to explain pain. All other members including Bex, Rafel, Spot, Paul, Ruth there are many name here missing again, so please consider them. Lucky to meet Ekaterina and David. 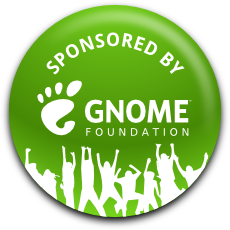 After using and working for Gnome almost a 10 year, happy i became Gnome foundation member now. Might be i will write other blog with some specific things, i think enough for this one. Thanks for reading. Other talks with connects to Localization efforts are: Fale (Fabio Alessandro Locati) is talking about "A year managing the Italian Fedora Community" and Jona Azizaj and Justin W. Flory are talking on University Outreach – New task or new mindset? There are only few highlights but we have also many active contributors present in conference. Hats of for making it happen in India again. Most of the information regarding conference available at web. 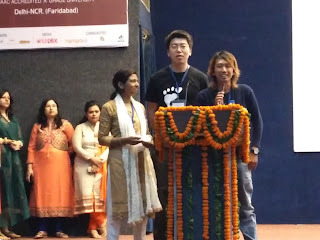 Though i am using Gnome almost 10+ years, this is my first Gnome summit and also mine first conference as a Keynote speaker. 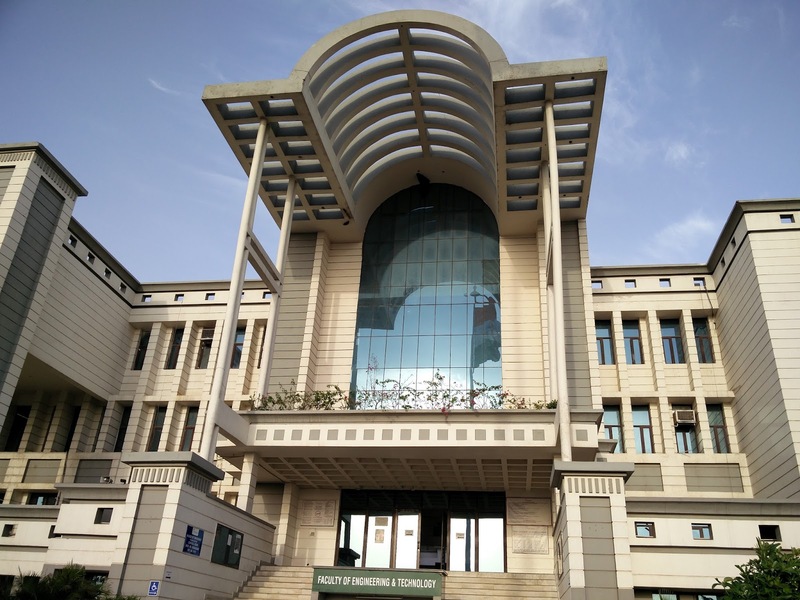 Manav Rachana is big university with promising upcoming talents in the form of bright students. Its worth to making event Gnome Asia here. Workshop on first day was worth, Since i arrived late, attended last GStreamer workshop and that happened really in great depth. Excellent stuff from Speakers Nirbheek Chauhan and Arun Raghavan. 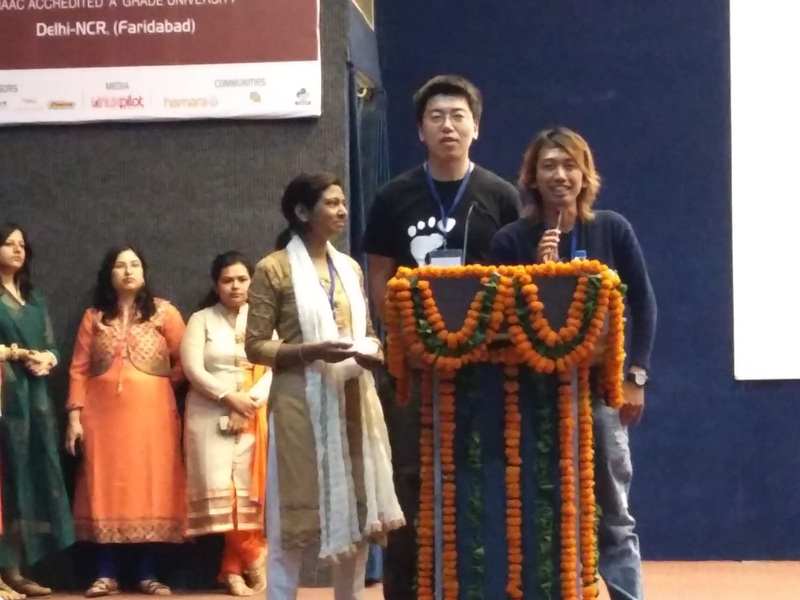 It was good to see Gnome contributors on stage. Quick introduction from most of the members. University lead by excellent peoples. Talk from K.K. Aggarwal was really motivating. Loved some stories from him, specifically Frog one - Good to be deaf in some situation. Though i thought we are behind schedule but case was not that, due to good buffer in lunch time. Happy nicely handled by organizers. Here my talk started. As usual i tried to make it bit two-way rather than one way communication. Covered Indian language status and also covered how it can help to contributors specifically students. After my talk: We had good lightening talks. Post lunch we started parallel session. Ankit Prateek had huge slide deck for "Privacy & Security in the Age of Surveillance ". He covered very important topics, i am sure after his talk many attendees must have thought for there privacy on Web 2.0 Era. Later there was talk by "Functionality, Security, Usability: Choose any two. Or GNOME." 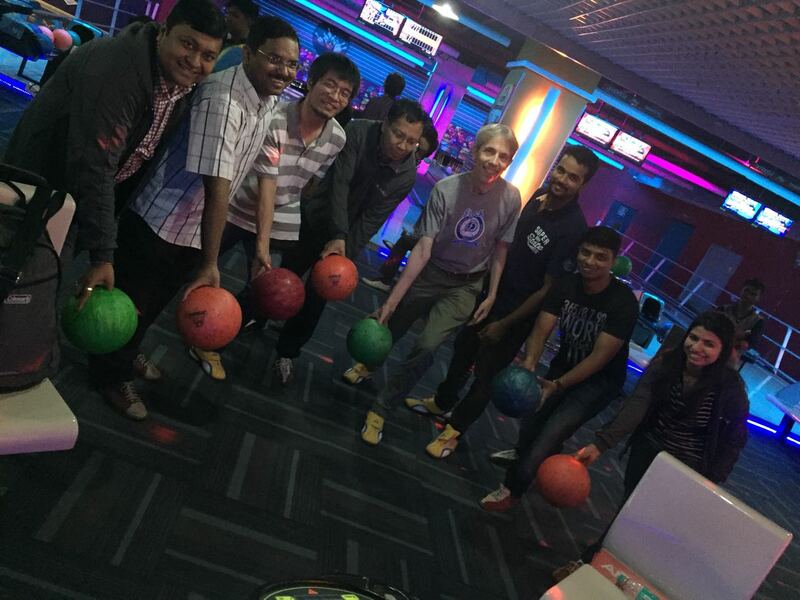 He invited developers for contributions. 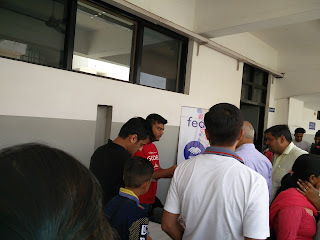 Thanks to PJP, Pranav for managing Fedora booth during first day. We had good crowd around and good communication whole day. Day ended with lightening talks. 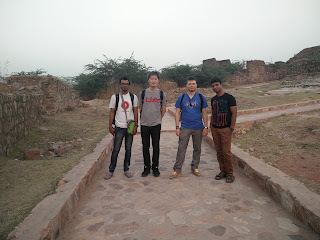 In the evening i visited Tughlaqabad fort with Tobias, Daiki and Raju. Third day i arrived bit early, had good conversion with faculty and students. Ekaterina gave nice keynote and provided most of pointers for starting with gnome contribution. During August Manav Rachana planning for activities on FOSS stuff and they were collecting contacts from speakers. 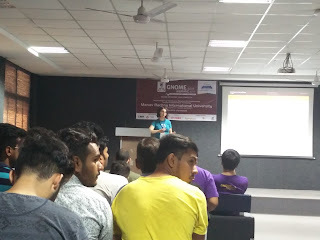 Post lunch, i attended talk from Ueno on "Contribute your first application to GNOME" and Tobias on "Five years of GNOME 3"
Then we had again nice lightening talks and closing ceremony. University provided Momento and Certificated to all speakers. Also speakers received Micro Charge&Data. 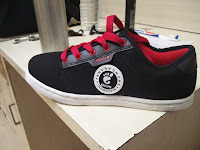 T-Shirts and Shoes from Conference. Overall Gnome Asia 2016 was good conference with good content and at right location. 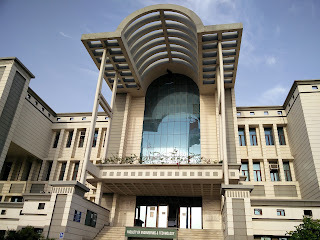 I hope we will get lots of contributors from Manav Rachana International university in coming years. 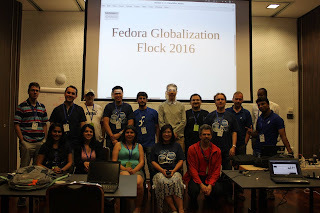 We had good presence of Fedora over all days. Missed Fedora 23 DVD's.